I look like a kid... I guess it makes this whole 'turning 30' thing a whole lots easier :) Sorry about the lighting, it's getting a bit too chilly to shoot these outside these days. 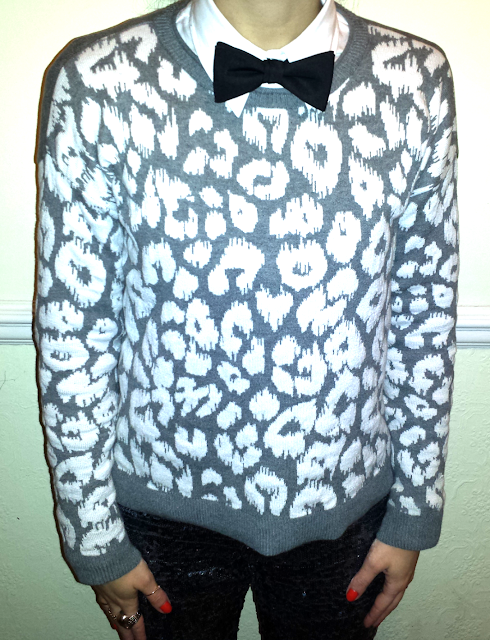 Labels: Bow tie, leopard print jumper, my wardrobe, New Look, platform boots, sequin jeans, tm lewin, TOPSHOP, white shirt.